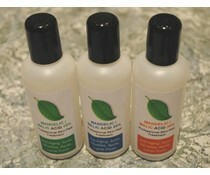 Restore and repair extremely dry, rough, cracked and bumpy skin. CeraVe Renewing SA Cream is your daily defense against extremely dry skin. Its patented MVE formulation releases ceramides, niacinamides and other essential ingredients throughout the day, so they penetrate deep into extremely dry skin to hydrate and nourish. Niacinamide helps the skin produce more natural ceramides and fatty acids essential for repairing and restoring the skin barrier. It harnesses the power of moisturizing ingredients to penetrate skin's deeper layer for enhanced effectiveness, while hyaluronic acid (a humectant) attracts moisture to the top layer of the skin, ensuring skin remains hydrated. 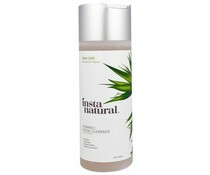 Enriched with antioxidant Vitamin D, it won't clog pores and is not greasy. The result is soft, smooth skin that looks and feels its very best. Apply liberally as often as needed, or as directed by a physician. Use sunscreen or other sun protection to prevent sun sensitivity while using this product. 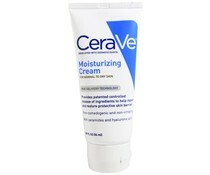 Discontinue use of CeraVe Renewing SA Cream if there is any irritation or burning. Purified water, glycerin, behentrimonium methosulfate and cetearyl alcohol, mineral oil, glyceryl stearate SE, ammonium lactate, salicylic acid, triethanolamine, cetyl alcohol, niacinamide, PEG-100 stearate, cholecalciferol [vitamin D3 in corn oil], ceramide 3, ceramide 6-11, ceramide 1, cholesterol, phytosphingosine, hyaluronic acid, phenoxyethanol, dimethicone, methylparaben, edetate disodium, propylparaben, sodium lauroyl lactylate, carbomer, xanthan gum.